If you have fine hair, then you already know how tricky it is to add volume to your hair. The wrong hair product can leave your hair weighed down, making it look flat. Blow drying your hair can also leave it looking disappointingly flat. So what is a woman supposed to do? The answer is easier than you think. With a few tips and a trusty hair dryer, your hair can reach new heights. When it comes to your fine hair, less is more. Using a lightweight shampoo and conditioner will do wonders on your fine hair. Just make sure to avoid any with silicones, sulfates, or heavy moisturizers such as shea butter. With regular use, silicones will build up on your hair over time, resulting in limp, lifeless, and, dull hair. Sulfates are too harsh on hair and scalps, so should be avoided and left to dishwashing soap formulas. My favorite shampoos for fine hair are from Avalon Organics, Jason Naturals, and Living Proof. What they have in common is that they are all based on natural, sulfate-free and lightweight formulas. Depending on your budget, these all work well on fine hair. Jennifer Aniston was a spokesperson for Living Proof for many years and she’s a good example of how a woman with fine hair can have lots of volume in her hair. Before you start drying your hair, make sure you apply the right hair products to your wet hair. I’m talking about root sprays, lightweight mousses, salt sprays and gels. These will help expand your hair while it dries. Formula is key though, because anything too heavy will defeat the whole purpose of trying to add volume to your hair. If you want something easy, try a salt spray or texturizing spray. These add a fine layer of gritty texture to your hair, which helps it to build volume. My favorite salt spray is the one from Kerastase. After you’ve finished drying and styling your hair, spray some dry shampoo into your roots by lifting a few sections at a time. Massage the dry shampoo into your hair and brush it through any areas if you can see it. Not only does this add volume by creating little gaps between your roots, but it also extends your hairstyle. I can go about two days without washing my hair. I have really oily roots, so you will probably go longer if you have drier hair. My favorite dry shampoo is Batiste. It sprays on white, but is so fine that it disappears with a little massage. Don’t forget to massage it in and then brush it through though. Before we dive into the best hair dryers for fine hair, a word on blow drying techniques. As you dry your hair, it should be lifted away from the scalp. You can either bend over and let your hair fall upside down while you dry it or you can lift sections up as you blow dry them. The goal is to coax your hair to dry with some lift. Do you always wonder why you can’t recreate salon-worthy locks at home? I always thought it was my inferior hair styling skills (I have no idea what I’m doing), but it turns out I just needed a better hair dryer. This neat hair dryer recreates the effect of getting your hair styled at a salon. It does it in two ways: 1. with the smarter airflow it creates and 2. with its advanced ionic technology. Most hair dryers blow air out in a chaotic way, disturbing fine hair and flattening it out in the process. You spend more time afterward trying to put the volume back in your hair. 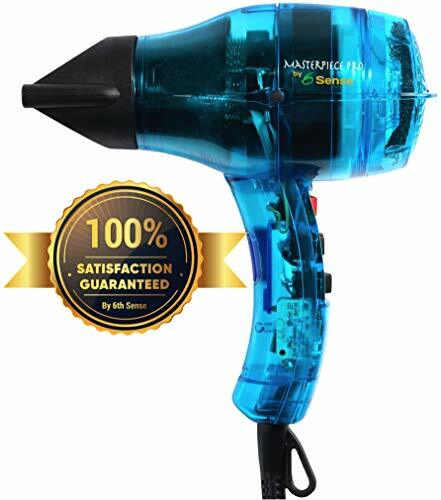 With this professional hair dryer, it will not only dry your hair quicker, but it will do it in a gentle and effective way. It’s all in the air flow that this hair dryer creates. It almost surrounds the hair in the same way a diffuser does. My hair looked pleasantly plump after using it, which is usually reserved for the times I see my hairdresser. Usually, when I use an average hair dryer, I find myself whipping out my straighteners to “fix” the crazy hairstyle that’s left on my head after blow drying. No matter how careful I am with my brush, my hair still has a few frizzy spots that need fixing. That is, until I tried this hair dryer. A lot of hair dryers say that they have ionic technology, but still leave you with frizzy hair. This hair dryer actually delivers on that claim and leaves me with the smoothest, silkiest hair in less time. Made in France, this hair dryer has a long-life motor and advanced features to give hair volume and smoothness. The salon design means that it is incredibly light and has ergonomic grip. 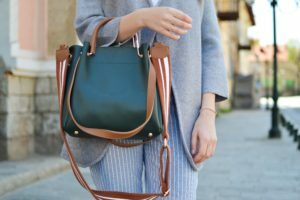 It only weighs 12 ounces, which keeps your shoulders and arm from getting strained. 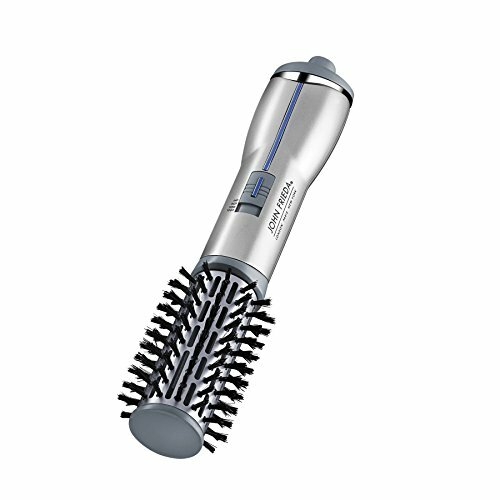 It features an ionic switch, which allows you to dry your hair with added smoothness. Along the same lines as the 6th Sense hairdryer, this hair dryer by T3 fights frizz and increases body in your hair. How does it do this? With a custom-designed fan, built-in ion generator and digital temperature controls. It’s a combination of technology and beauty that is hard to beat. To evenly distribute the air flow, the Micro Cura hairdryer has a clever fan which keeps all the air from scattering in an ineffective way. The smooth flow of air over my hair was very noticeable and left me with a lot of body in my fine hair. The temperature in this hairdryer is digitally controlled and creates even heat. Less advanced hair dryers can blow out fluctuating temperature, which creates a damaging environment for delicate hair. To cancel static and smooth the hair cuticle, this hairdryer features a built-in ion generator. I’m not a scientific person in the least, but I do know that frizz is the result of positive ions creating havoc on your hair. The ion generator saturates the air with negative ions to cancel static and keep hair smooth. Basically, it keeps your hair looking shiny and smooth without any effort. Designed for all hair textures, this hair dryer has three digitally controlled heat settings for accurate temperature control. It also has everyone’s favorite cool shot button, to help set styled hair quickly. I liked using the two nozzle attachments that came with this hair dryer. One is for drying hair quickly and is a bit wide. The other attachment helps to direct air for styling one section at a time with a brush. Have you ever heard of the phrase, “cheap and cheerful”? Well, this hair dryer is just that. It’s cheap and it get’s the job done. With a volumizing diffuser attachment, this hair dryer softens airflow, resulting in a more natural texture to your hair. It has a hot and warm setting, which can be used either on the high or low setting. A cool shot button allows you to quickly cool down your hair to keep your style in place. I like to tip my head over and dry it for a few seconds and then use the cool button to lock the volume in place. The drying cable is 6 feet long, so is comparable to your average hairdryer. I like a longer cable, but that’s just because I tend to pace a bit when drying my hair. I find it boring drying my hair, what can I say. Designed for women who want volume in their hair (and lots of it), the Revlon Hair Dryer Volumizer is quick and easy to use. The 4-inch barrel brush gives a boost to the roots of your hair, without having to put rollers in or tease your hair. In addition to the root boosting benefits, this hair dryer also has Ionic technology. Some hair dryers can leave hair frizzy and feeling like straw. With the ion technology in this hair dryer, your hair becomes shinier, smoother, and helps to condition stressed hair. Looking at the hair dryer, I initially thought my hair would get tangled up while using. Luckily the brush is composed of a mix of bristles, which keeps hair from getting tangled. 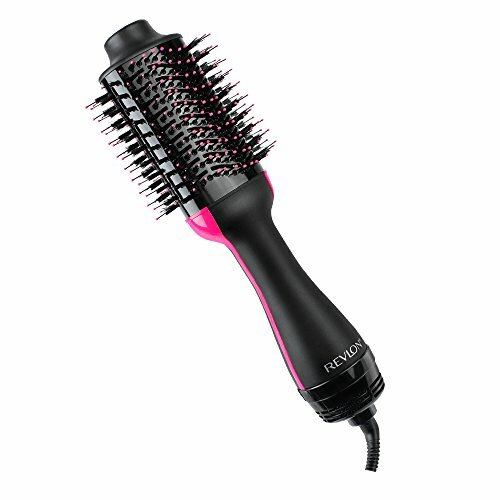 The mix of nylon pin and tufted bristles separate the hair for comfort. It has three settings – low, hot and cool – for precise heat styling. To give your roots a boost, just place the barrel brush under the section of hair you are drying. Make sure to place it close to your roots and then turn on the dryer on the low or hot setting for two to three seconds. Then give it a short burst on the “cool” setting to set your volume. I also like to use it on dry hair to give it a boost if it’s looking a bit lanky on the second day. Another good choice to give volume to fine hair is the John Frieda Hot Air Brush. The 1.5-inch barrel brush gives hair roots a gentle boost. 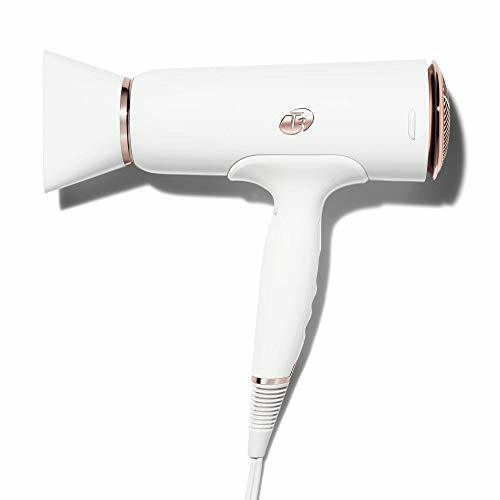 The ionic technology in this hair dryer keeps your hair in better condition, especially if you use heating tools regularly. It leaves hair shinier, smoother, and less damaged than non-ionic hair dryers. To fine-tune your experience, this hair dryer comes with three settings – low, hot, and cool. Having multiple settings is great because you can manipulate your hair and set it more effectively. If you want a boost to your roots, just hold the barrel under the section you are drying, as close to the roots as possible. Give it a blast of hot air for a few seconds and then switch to the cool setting. That way the hair is completely set, before you move to the next section. To dry your hair, you pull the dryer through your hair as if you were brushing it. It keeps hair smooth without having to use straighteners, which can make fine hair look even flatter. I like to use the brush on the ends of my hair to give them a gentle curl. 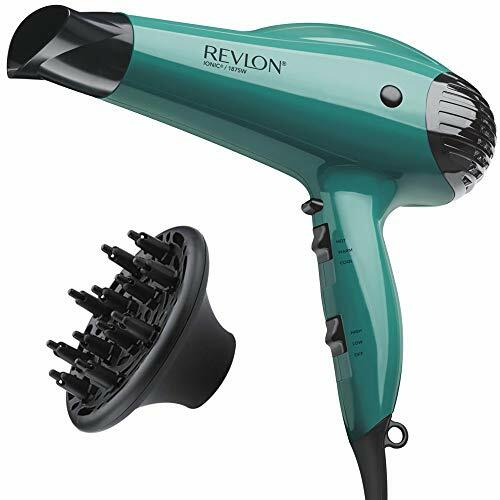 Compared to the Revlon One-Step Hairdryer and Volumizer, this hair dryer is less powerful. If you have a lot of hair to get through, then this might prove to be too weak for the job. If you don’t have as much hair, then this will work for you. My mom had one of these when I was growing up, so I’ve been using them on and off for years. Every time I pick it up after not using for a few years, I wonder why I ever stopped. I like trying new things, but this one is a design I always come back to in the end. Great for baby fine hair or short hair, the Helen of Troy Hot Air Brush dries and curls hair with ease. Compared to other hot air brushes, this one is gentler on hair because of the barrel that never gets too hot. As you lift each section of your hair with the barrel, the air circulates to dry your hair. Since the hair was lifted when the warm heat was applied, the hair retains that lift for a voluminous effect. Once fully dry, you simply move on to another section. Curling is easy, due to the tangle-free feature which releases the barrel from locked to spinning position. It takes a few tries to get the hang of it, but you’ll pick it up quickly. 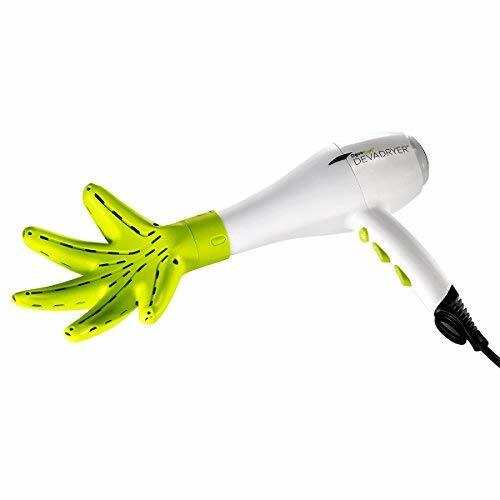 Designed by one of the top brands that specialize in curly hair, this wacky hair dryer from DevaCurl gives fine hair that is wavy or curly, lots of volume. It works on the simple fact that curly hair types do best when hair is dried gently and without movement. While air drying your hair is great if you have wavy and curly hair, it’s not always practical. This is where a hairdryer like this comes in. The DevaCurl hairdryer has a patented diffuser attachment that surrounds your hair with a 360-degree airflow. Thanks to dozens of vent holes in the diffuser, your hair will dry faster compared to traditional diffusers. The hairdryer itself has three temperature settings and two speed settings. A separate cool shot button allows you to lock in your hairstyle at the very end. In terms of thinking outside the box, this hair dryer definitely has that covered. To use, simply tip your head to the side while cradling your hair with the diffuser in a “scrunching” position. By holding the diffuser near your roots, your hair will retain volume and stay frizz-free. For years I cursed my fine hair texture, until one day a friend with thick hair told me how much she wished she had less hair. It suddenly occurred to me, I have enviable hair. It’s all about seeing the positives in everything I think. Over the years I’ve learned to embrace my hair texture, but also to make it look its best. If you want to give your hair some body, it’s totally possible. Hope you’ve enjoyed my guide to the best hairdryers for fine hair, plus my extra tips. So tell me, what do you use – hairdryer or otherwise – that keeps your fine hair looking great?